The Science behind the Perfect Christmas Roast! Christmas day is looming. That hallowed day of food, wine, gifts, food and then some more food is nearly here! In the UK, ten million turkeys will be cooked, 25 million Christmas puddings eaten, and six million gallons of wine drunk! The chances are that you will be eating roast turkey at some point this next week (unless you’re vegetarian). But how many of us know the best way to cook a roast? Have you’ve ever wondered what actually goes on in the food you cook? If you like cooking or eating, then today’s post is for you! 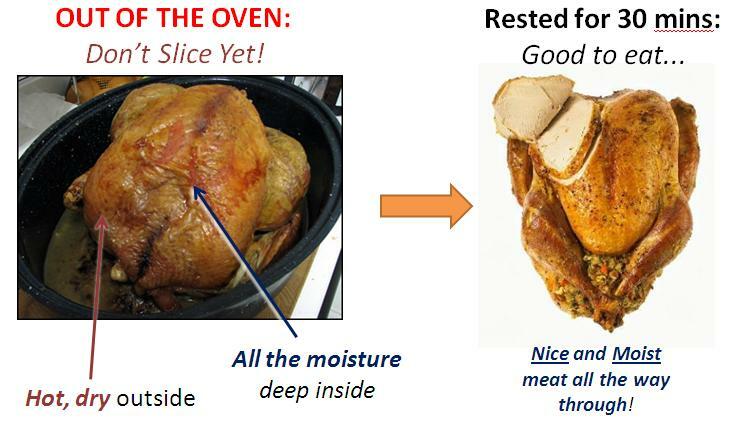 Behind that dark oven door, the meat is cooking – but what exactly is going on? And why does the oven have to be so hot? While you scrub the veggies and sip on a glass of port, uncooked pink flesh is slowly turning into succulent and appetising meat. Meat is made of muscle; and muscle contains lots of protein. 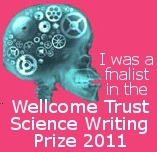 Protein are cleverly designed microscopic molecules designed to let living muscles contract. When you cook meat, these proteins get destroyed in a process called ‘denaturing’. 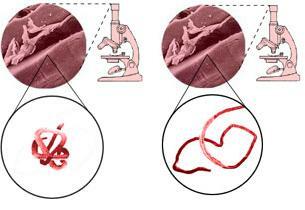 Proteins are too tiny to see but when they denature, the meat changes colour. The same thing is happening when you fry an egg and the egg white goes from clear to white. The shiny side of foil reflects heat, so put the shiny side inwards if you want to roast quicker! That super-tasty brown crust only happens in the right conditions: The outside of the meat must be very hot and dry. If you get it right, something called the ‘Browning Reaction’ takes place: Proteins and sugars mix and react to produce some fantastic meaty-flavour chemicals! 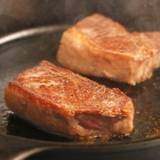 The 'Browning Reaction' also happens on any grilled or fried meat. The meat needs to be very hot: over 150 degrees C! The turkey is out of the oven and it’s looking delicious! The house has filled with fantastic Christmas aromas and so isn’t it about time to slice the meat “just to check it’s ok”?! If you want the perfect roast, you’d better keep those hunger pangs at bay by chomping on another mince pie! As every chef and good cook knows, meat cooked in the oven needs to be ‘rested’ before carving. The real reason to rest your meat is to let the moisture spread throughout the meat. When you take the bird out of the oven, the outside is hot and dry but the middle is cooler and wetter. So by sitting your cooked turkey at room temperature for at least half an hour gives it time for the fluids to spread out throughout the meat. 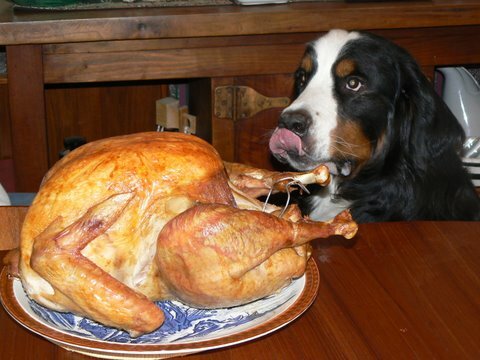 And when the waiting is over, you will have a perfectly cooked, succulent roast Turkey (just don’t let the dog get to it first)! There you have it: The science behind a perfect Christmas roast! Some interesting Christmas facts and stats at britishturkey.co.uk! Wash and dry turkey inside and out. Rub turkey lightly with olive oil, salt and pepper . 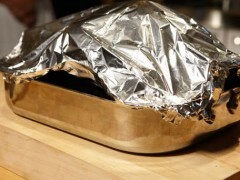 Cut a long length of aluminum foil, enough to wrap loosely around the turkey. Lay it across the bottom of your roasting pan with edges overlapping the sides of the pan. Place a rack on top of the foil and set the turkey breast-side up on the rack. Bring ends of foil up around turkey and crimp together along top of turkey. Foil should be loosely wrapped around turkey and crimped together at ends. Put turkey in oven and roast for 15 minutes. Turn heat down to 375°F (190°C) and cook until done. 14 to 20 pounds (7-9kg): 3 1/2 to 4 hours. 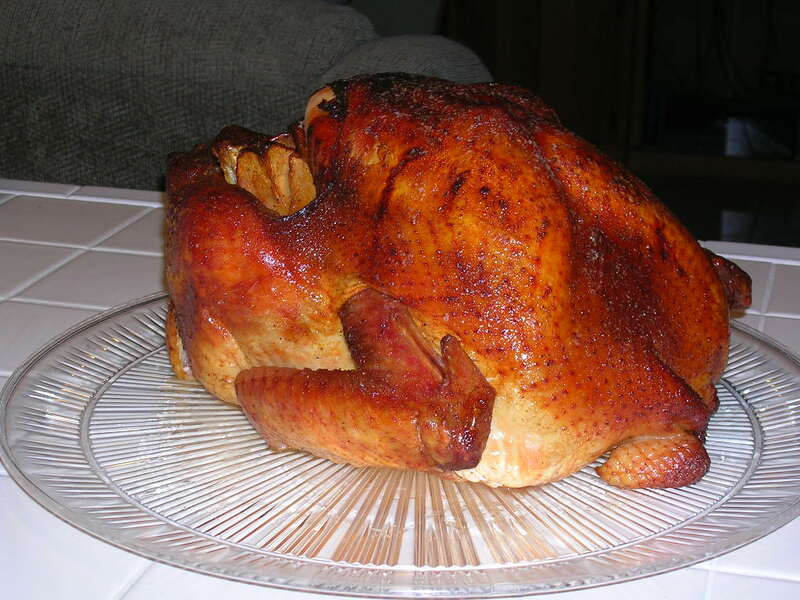 During roasting, the bird should be basted occasionally and turned 3 times, that is, rolled onto all of its sides. Open foil to do this and turn turkey first on one side, then on another, then upside down. Finally, turn it right side up and remove foil for final browning. The turkey is done when you stick a fork, knife, or skewer in and clear juice (as opposed to pink) runs out. 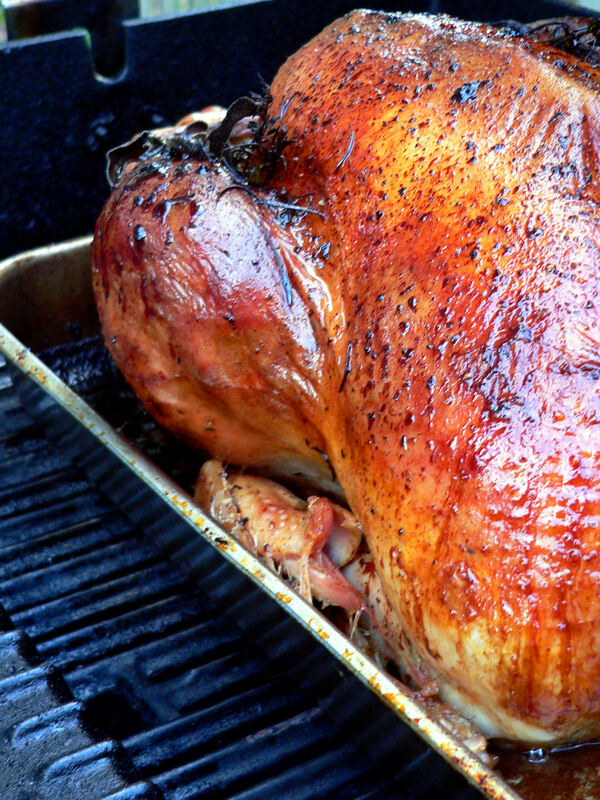 A meat thermometer inserted into the part of the bird without touching the bone will read 180°F (approximately 80°C). Do not overcook. 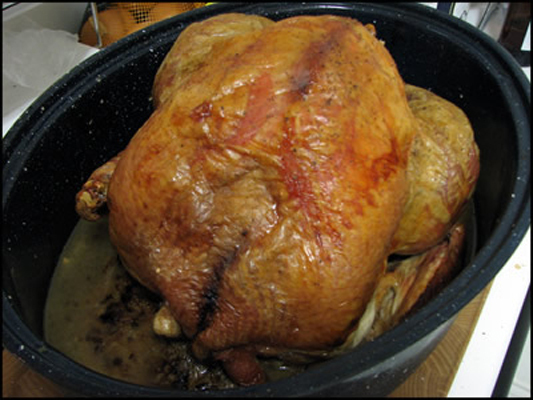 Remove turkey from oven and let sit 15-30 minutes before serving so that juices will be reabsorbed by the flesh. Carve the turkey and transfer to a serving tray.